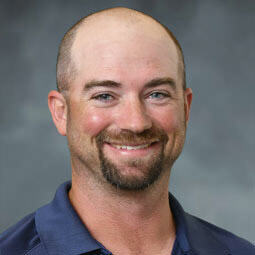 James Pettit is the IT Service Manager, Software Developer, and Database Administrator at Gulf Western Roofing. James began his career with GWR in 2006. Prior to joining GWR, he worked for construction and real-estate related organizations. He was a senior software developer for Southern California companies Procore, NewLeads, and Yardi Systems, IT Director for Shoma Homes in Miami, and IT Manager, Director of Technical Services, Field Supervisorand Roof Mechanic for R&J Roofing in both Davie and Boca Raton, Florida. 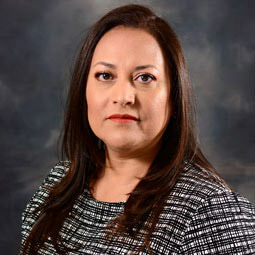 Alicia Gonzalez has 18 years of experience in the Human Resources field. 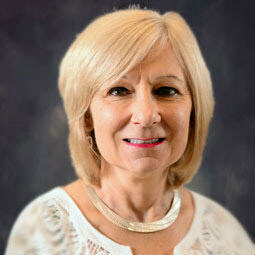 Her work history includes corporate environments, call centers, construction industry and the mechanical industry. In addition to corporate and management training, Alicia’s experience also includes recruiting, compensation salary structure, employee benefits, as well as international training and mentoring. 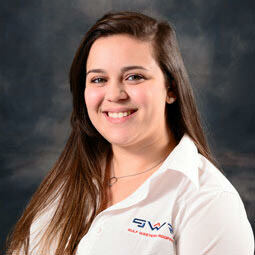 Alicia has been proudly serving Gulf Western Roofing since January of 2006. A Certified Public Accountant, Donna has over 25 years of experience as a construction accounting controller even prior to working at Gulf Western Roofing. Her work history includes time as a Controller for a heavy highway contractor specializing in concrete paving, mainly for the Missouri Department of Transportation. Donna was also a controller for a large general contractor specializing in commercial construction in 36 states, with projects including Wal-Marts, Home Depots, Auburn University Dormitories, restoration of a historic battle house hotel in Alabama and others. Donna received her Associate’s degree in Accounting from the University of Central Missouri before attending Columbia College, where she earned her Bachelor’s in Business Administration with a focus in accounting. Donna has been proudly serving as the Accounting Manager at Gulf Western Roofing since 2015. Her current tasks include financial statements, job reports, cash management, budgets and supervising the accounting staff. James, “Jimmy”, Webb has over 30 years of roofing experience and holds multiple certifications in different roofing systems. Jimmy started with Gulf Western Roofing in 2002, working with the in-house service department as a Technician completing repairs. As Customer Service Specialist, Jimmy’s main objective is keeping the customers happy. Jimmy continuously meets with builders, homeowners and community managers to address and resolve any conflicts or concerns. He is also responsible for evaluating the service department and their work. Working alongside Customer Service Supervisor, Kelley Long, Jimmy is regularly making corrections and adjustments to the customer service department in order to increase the productivity and success of the service team. As Quality Control Specialist, Jimmy completes daily evaluations on the production home and repair projects to ensure all work is being performed to code. Our Customer Service Supervisor, Kelley joined the Gulf Western Roofing team in 2016, originally as a member of the purchasing department. Her experience in the purchasing department gave her the necessary knowledge and experience to successfully work in customer service. Kelley is now responsible for scheduling all service and warranty repairs, communicating directly with homeowners and builders, and ensuring all repairs are done in the proper manner. Additionally, Kelley organizes and maintains the vehicle fleet and keeps a record of maintenance and an inventory of tools. Joel joined the Gulf Western Roofing team in 2014. Joel holds a Business degree in Material and Operations Management and comes to GWR with extensive knowledge and experience in the construction industry. As Purchasing Supervisor, Joel is an effective communicator and understands paying close to attention to details facilitate seamless and accurate material orders, delivery schedules, change orders and warehouse inventory control. In addition, Joel works closely with suppliers to ensure delivery capability and improve supply chain capabilities like lead times and working capital. Marla joined the Gulf Western Roofing team in 2016. Prior to working at Gulf Western Roofing, Marla gained over 10 years of unparalleled experience in the roofing and construction industry. As Warranty Administrator, Marla incorporates her vast knowledge of processing permits and contracts in a timely manner to facilitate exceptional customer service. Marla also works closely with the marketing department to develop and implement new resources for staying in touch with valued warranty customers. 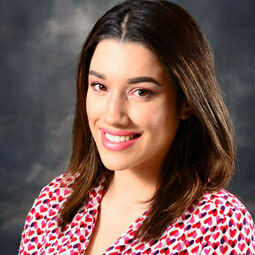 Stephanie Pineda joined Gulf Western Roofing in 2014. 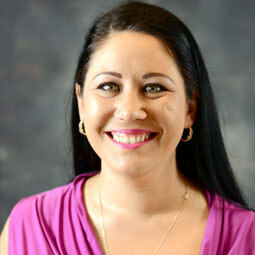 Stephanie began in the customer service department and shifted to the purchasing department. Stephanie’s experience working in the customer service department gave her the essential knowledge and experience to succeed in purchasing. Stephanie’s current role as a Purchasing Assistant, provides her the opportunity to enhance her genuine interest in the construction industry. Her role is essential as she supports the department to include receiving new jobs from builders, ordering tile for each job and assisting in any purchasing requirement. Stephanie is not only a proud Navy veteran, she also holds an Associate in General Education and is pursuing a Bachelor’s in Business. Alex joined the Gulf Western Roofing estimating team in 2015, after accumulating an impressive 9 year career in various construction fields. As a valued Estimator, Alex is responsible for executing take offs from architectural drawings and specifications. Alex’s skills also include creating detailed budgets and proposals for bidding purposes. 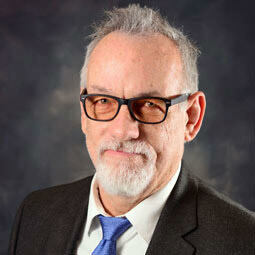 His extensive knowledge has made him an invaluable Estimator for mission critical projects. 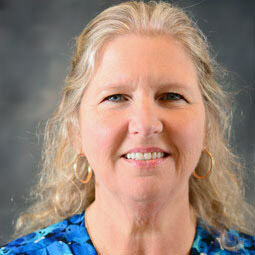 Jannel joined the estimating team at Gulf Western Roofing in 2013. 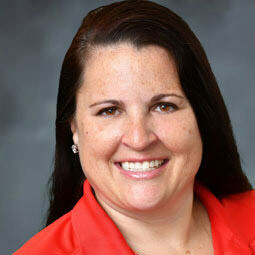 During her tenure with Gulf Western Roofing, Jannel has become proficient in reviewing contracts. She begins the process of estimating by meticulously gathering proposals, architectural drawings, specifications and related documents. Jannel’s close attention to detail are vital to determine the material quantities and labor necessary to complete each job and provide the customer a solid proposal. Erin re-joined the Gulf Western team in 2017 as the Accounts Payables Specialist. Erin has over 24 years of experience in construction accounting, working diligently as either an Accounting Manager or Controller for both general contractors and subcontractors, including Gulf Western Roofing. Currently, Erin processes EQ team weekly sheets, accounts payable invoices, weekly accounts payable check runs and EQ team loan reconciliation. Erin also maintains the Dropbox account in addition to various other accounts payables tasks. Todd joined Gulf Western Roofing in 2013 with a degree in Communications and a double minor in Business Marketing from Auburn University. Prior to joining Gulf Western Roofing, Todd accumulated over 17 years of business to business sales experience, with 13 of those years directly related to the construction industry. 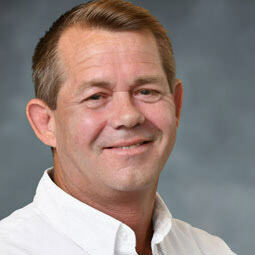 As an Orlando Sales Representative, Todd is responsible for sales and new business development in new construction (Production & Custom Home Builders) as well as reroof & commercial projects in the Central Florida & Tampa markets. Andrew “ AJ” Hogg, joined Gulf Western Roofing in 2016. 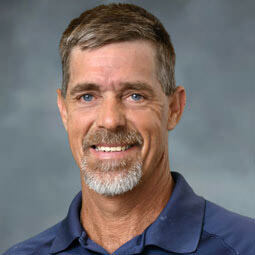 He has over 18 years of roofing and carpentry experience. As a service technician for the Orlando area, AJ currently does the metal stucco stop on all of the Orlando metal roof projects. He is also taking care of most of the punch out work as well as any repairs that are sold. Occasionally, AJ works as an Estimator, meeting with homeowners, completing a roof inspection to identify areas of concern, and preparing a repair or roof replacement proposal based on his findings. In addition to working full time, AJ is also attending Valencia College where he is working towards his Associate’s degree in Engineering. Rodney joined the Gulf Western Roofing team in 2015 with 30+ years of previous experience in the roofing industry. 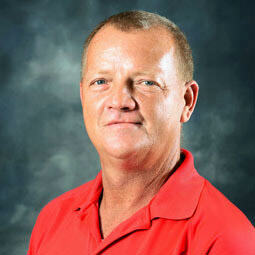 As a Sales Estimator for GWR, Rodney’s focus is residential re-roofing in the Central Florida market. 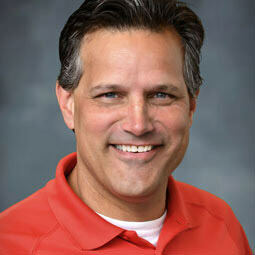 He is dedicated to helping clients find innovative solutions for all of their residential roofing projects. His primary responsibilities include meeting with the homeowners, preparing proposals and quotes, and seeing that the project is completed to the highest quality under Gulf Western Roofing guidelines. Darin worked in the roofing industry for over 20 years before joining the Gulf Western Roofing team in 2015. As a Field Superintendent Darin, is responsible for overseeing current projects, scheduling crews for dry-in and shingle projects, and working with the purchasing team to order project materials. 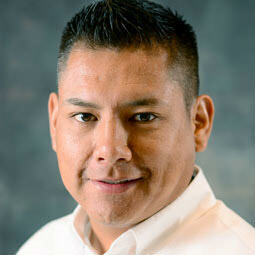 Alfredo joined Gulf Western Roofing in 2002, just a few years after it began. Prior to working on the customer service team, Alfredo worked as a tile setter, learning the trade quickly and always carrying out GWR’s commitment to quality. 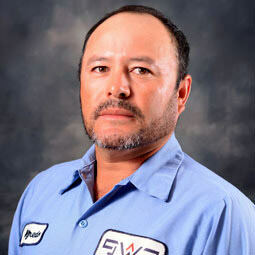 Currently, Alfredo assists the service team by completing high quality, complex repairs. 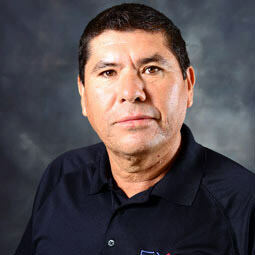 Eutimo “Pancho” Villegas, has been working for Gulf Western Roofing since the doors opened for the first time in 1999. 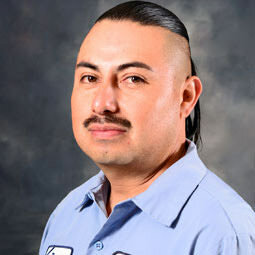 Prior to working at Gulf Western Roofing, Pancho worked for West Coast Roofing, where he completed metalwork and learned how to work on commercial high rises. Currently, Pancho acts as the Lead Service Technician, focusing on more complex repairs. With Pancho on the job, there is nothing to worry about. Lalo’s roofing career began in 1988 at West Coast Roofing. There, he quickly learned the roofing trade while working on commercial high rises. In 1995, Lalo began working at R&J Roofing, owned by Joseph K. Lamb Sr. 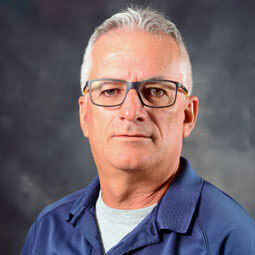 When Joseph K. Lamb Jr. opened the doors to Gulf Western Roofing in 1999, Lalo was at his side. Working in the field, Lalo completed projects involving hot mopping and torching. As a supervisor incorporating small repairs, quality control and site management, Lalo excels at managing busy and complex jobsites. Prior to working at Gulf Western Roofing, Jorge gained construction experience as a handyman. 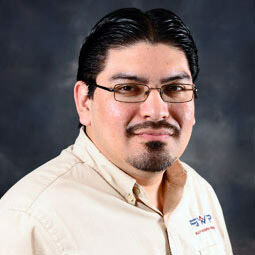 Jorge joined Gulf Western Roofing in 2004 and worked as the heavy duty truck operator for four years. At the height of the recession, Jorge adapted to wearing multiple hats and quickly learned different trades within the company. Always willing to serve where needed, Jorge was promoted to Field Supervisor in 2008 and is currently overseeing the quality control, site safety and job completions of new construction projects in Southwest Florida. Jose began working for Gulf Western Roofing in 2013 as a Customer Service Technician. He quickly enhanced his skills by completing inspections and roof repairs. Jose also set tile and installed peel and stick tile. 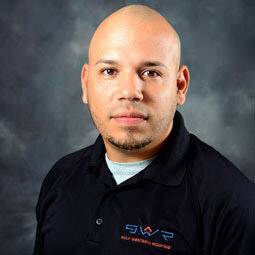 Prior to working at Gulf Western Roofing, Jose gained valuable industry experience working construction in Puerto Rico. 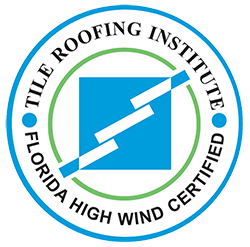 In 2016, Jose was promoted to Field Superintendent where he is currently responsible for the quality, safety and completion of new construction projects and re-roofs in the Southwest Florida area. Juan joined the service department of Gulf Western Roofing in 2015 as a Customer Service Technician. 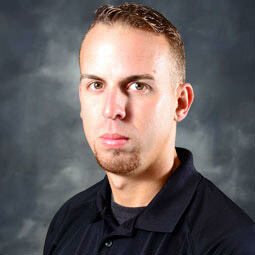 As a Customer Service Technician, he completes required roof repairs and inspections. Prior to joining Gulf Western Roofing, Juan worked as both a mechanic and tile installer. Juan’s hard work and knowledge of tile installations has established him as a reliable Field Supervisor. 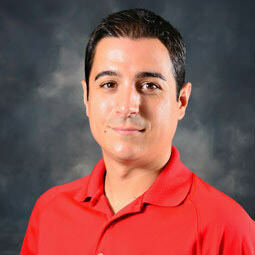 Currently, Juan helps to oversee job completions for new construction projects in Southwest Florida. Ramiro joined Gulf Western Roofing in 2017 as the go-to person for everything regarding safety. As Safety Representative for the state of Florida, Ramiro prepares job sites for safety audits, attends builder meetings, and completes all new hire safety training. Ramiro is responsible for correcting safety violations and re-training on the spot in addition to completing accident investigations when necessary.